We recognize that we are on a journey towards becoming THE environmentally sustainable foodservice company that lives up to our brand promise and we want to work with our customers to get there. At Eco-Products, we are keenly aware of the state our planet and our society will be in if we don't change the way that corporations -- large and small -- operate. 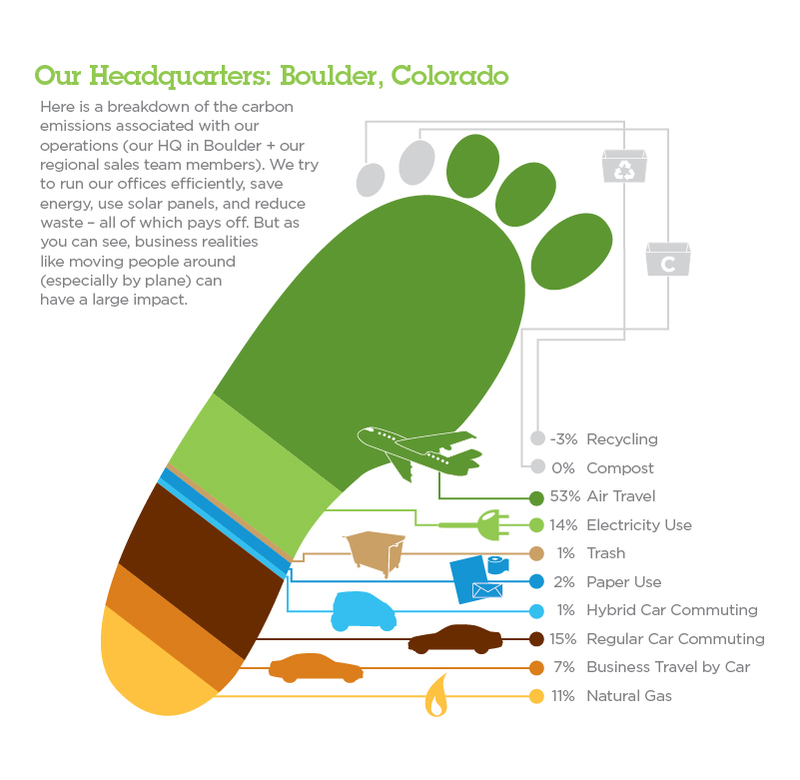 We have set the bar high and take our sustainability program seriously. We wanted to understand what we are doing well and what we need to change. So we unearthed the whole story behind our company's activities. 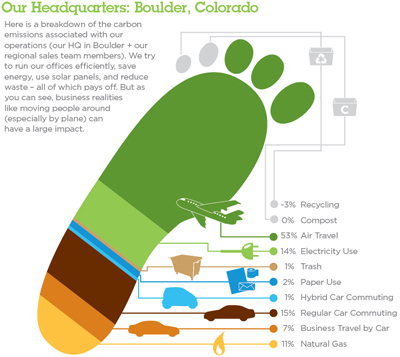 What you see here is our very first comprehensive carbon footprint analysis- looking at all the carbon emissions from our day to day operations at our headquarters.